Arrow Sign Co. has been designing, fabricating, and installing signs since 1964. We perform sign maintenance to all types of indoor and outdoor signs. Sign Repair services for businesses around Minneapolis and the Twin Cities. Arrow Sign Company is a family owned sign installation and repair business that has been providing high quality work to Minneapolis and the Twin Cities metro for two generations. We know that superior service is still a great commodity even in this fast-paced day and age, and that’s why we are committed to helping people around the metro area with any indoor or outdoor sign issues that they may have. At Arrow Sign Co., we design, fabricate, and install signs for all types of organizations and situations. 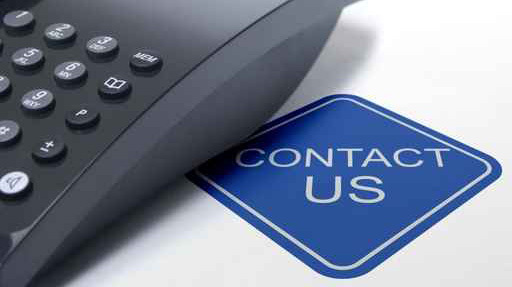 We also repair signs all around the metro area – both our own and our competitors’. So if you need a sign designed, installed or repaired in Minneapolis or the Twin Cities metro, contact the experienced professionals who have been doing it for over 50 years. 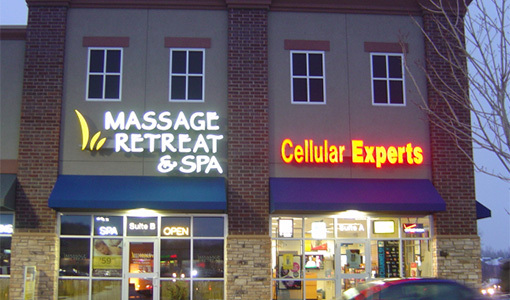 Call 763-755-8873 for expert sign help today. Arrow Sign Co. has worked restaurants, retail, office buildings, medical complexes, sports arenas/stadiums, churches, and more. We have made signs to accommodate all walks of life. No matter what kind of signage system you need or already have and need repaired, Arrow Sign Co. is here to help. Our experienced staff can fabricate and install lighted signs, letter sets, led lighting, awnings, digital message centers, and neon signs and have countless years of experience in maintaining and repairing signs installed by other manufacturers. The comprehensive service and attention to detail that we provide are second to none, and that’s why we provide a guaranteed warranty with every job we do. 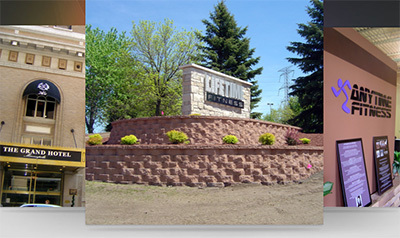 If you are looking for the best signage company in Minneapolis and the Twin Cities metro, look no further. Arrow Sign Co. is here to help with all your signage problems. For two generations Arrow Sign Co. has been installing and designing signs for customers around Minneapolis and the Twin Cities metro. Our fabricators will work with you to design the perfect custom sign that will ideally fit and describe your business or organization. Or if you already have a concept for a sign in mind and just need someone to help you put that concept into action, we can do that too. We are flexible and we think that’s very important when working with people who have a vested interest in their own brand. We want to make sure that you are totally on board with the signs that we design and install for you. So no matter if you want us to design your sign, you want to do it, or it’s a team effort, we will make sure that you have the perfect sign to get your image out to the public. Once your sign(s) has been perfectly designed and fabricated, the experts at Arrow Sign Co. will handle all the installation for you so that it will work right from Day 1 to Day 10,000. We take great pride in the signage systems that we install. So if you need a sign installed in Minneapolis or the Twin Cities metro, contact Arrow Sign Co. for professional services today. Most signs, especially lit-up, or LED, need routine sign maintenance in order for them to function properly. Maintenance typically involves replacing light bulbs as well as checking for any wear in outdoor signage systems. And because we maintain signs installed by manufacturers all around Minneapolis and the Twin Cities metro, we are well-versed in any signage system that crosses our path. The sign minstallation that we provide at Arrow Sign Co. comes with a two year parts and labor warranty, so you know we stand by our work. If you think that a professional sign company should be in charge of always making sure that your signs stay functional, contact us today for our comprehensive services. Oftentimes we don’t get the chance to maintain a sign before it falls into poor condition and needs to be repaired. And while we wish that no signs get to this type of condition, we diligently repair them to ensure that they will last much longer without the added expense of replacement. Arrow Sign Co. has been repairing signs around Minneapolis and the Twin Cities metro for two , angenerations and will gladly repair any sign that you have that is falling apart. 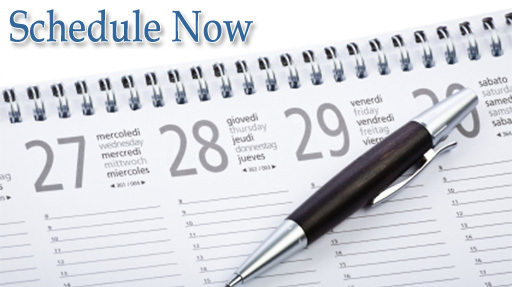 At Arrow Sign Co., we produce every type of sign you can think of. If you need it, we make it. And if you have something particular in mind and you don’t see it below, contact us anyway as that particular type of sign is most likely a subset of the broad categories below. At Arrow Sign Co., we design, fabricate, and install awnings for businesses and other organizations. From retail to restaurants, we make awnings for all situations. 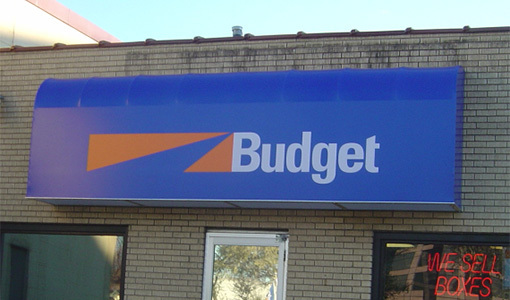 Awnings literally stand out more than wall adhered signs, and they make businesses look bigger to the eye. So if you think an awning is right for your group’s building, contact Arrow Sign Co. for professional services today. We make all manner of outdoor signage at Arrow Sign Co. If you can think it, we can make it. Contact us today for any and all outdoor signage options because, really, there’s far too many to list here. We do them all. From directories to directional signage, ADA compliant signs to donor recognition walls, and everything in between, we produce the entire gamut of indoor signage options. Call us today for any type of indoor signage you may require. At Arrow Sign Co., we produce, maintain and repair all types of LED signs. LED signage is the most desired option for light-up signs, and this is due to its low voltage and, subsequently, low energy bills. We also will convert any sign currently using fluorescent or neon to LED so that you may benefit from the low energy bills that LED provides. Contact us today for any LED signage needs that you have. Arrow Sign Co. has been providing quality sign services to Minneapolis and the Twin Cities metro since 1964, and we hope to be doing it for many more years as well. If you need a sign installed, or want a current one serviced or repaired, contact our team of experienced designers, fabricators, and electricians today. We know that for any business to succeed, you must get your name out there. And there’s no better way to do that than with quality and professional signage. 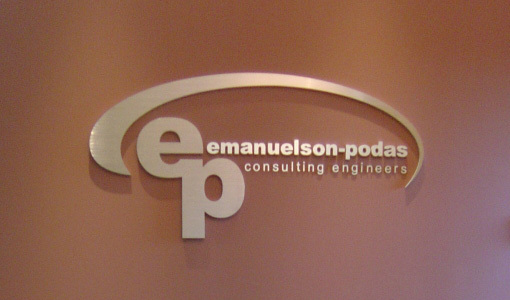 Call 763-755-8873 today for all of your expert signage needs.